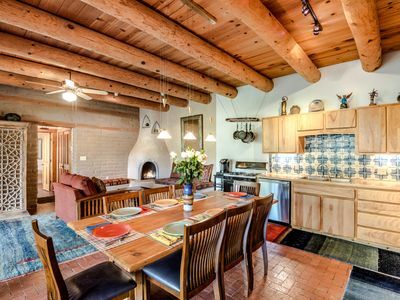 Casa Lola is quite the charm! 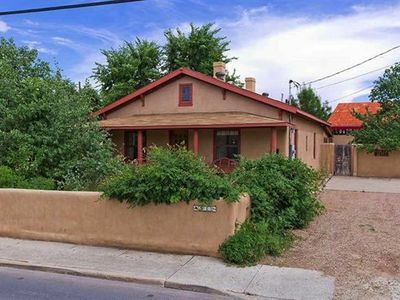 It is located on a quiet street just 2 blocks from the Railyard. 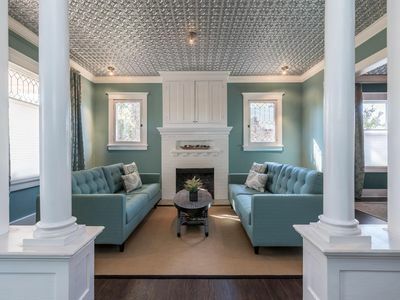 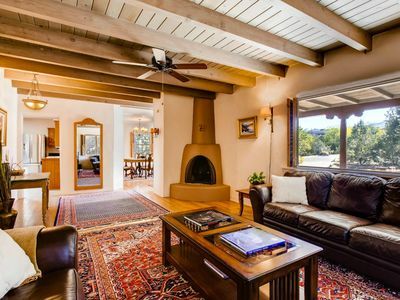 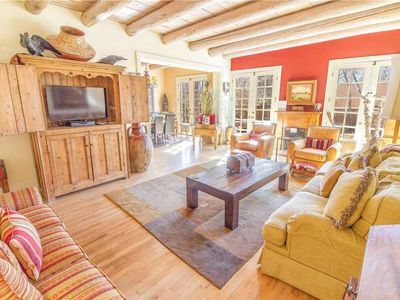 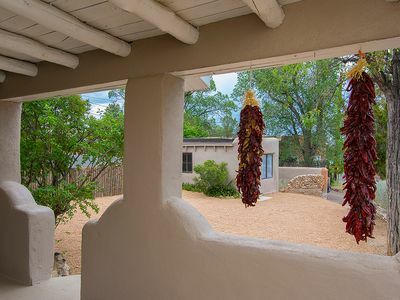 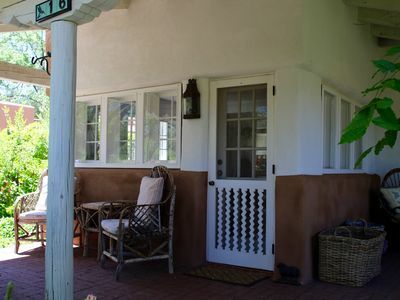 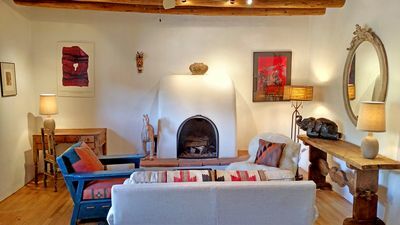 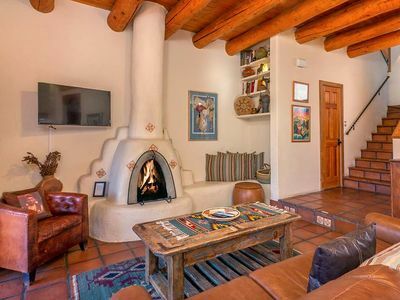 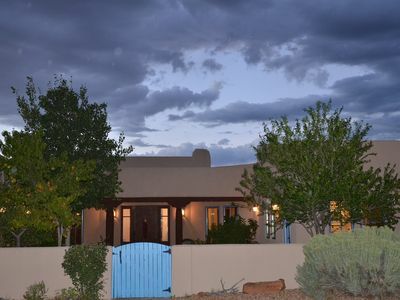 This charming adobe gem has been tastefully remodeled. 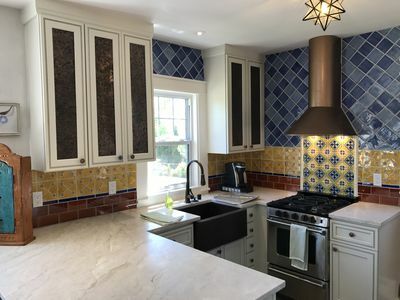 It has bright and warm kitchen with access to a beautifully landscaped and fully fenced, private yard with a brick and flagstone patios and patio seating for 8. 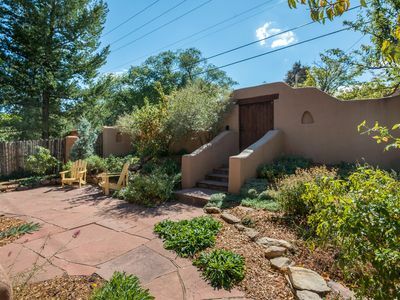 Enjoy a relaxing morning or evening outside while the mature Aspen and Fruit trees sway. 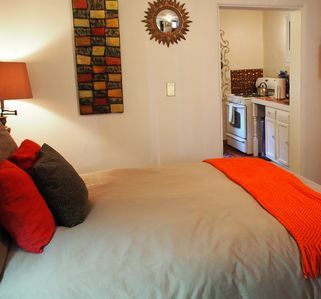 The bathrooms have been lovingly remodeled, with a bathtubs and lovely tile work. 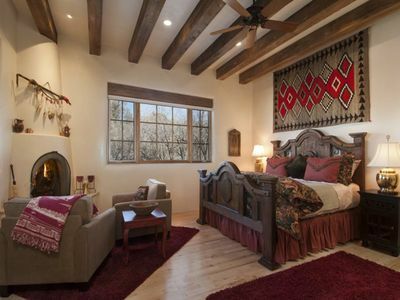 The bedrooms are seperated for extra privacy and are complete with 1 king bed (that can be split into two twins) or a queen bed - both with exquisite, plush bedding. 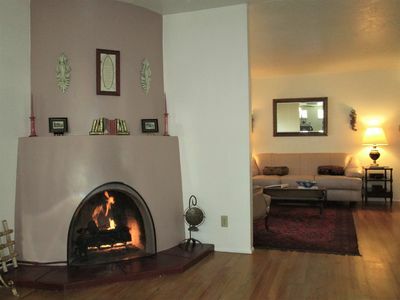 For a soothing ambiance, a kiva fireplace is in the living room with plenty of firewood provided in the winter months. 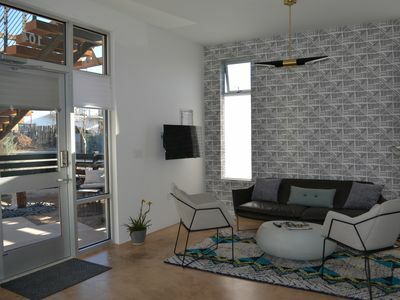 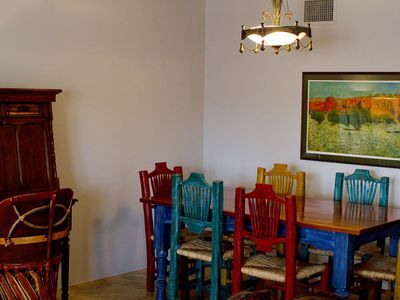 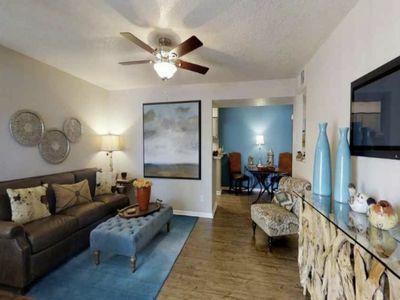 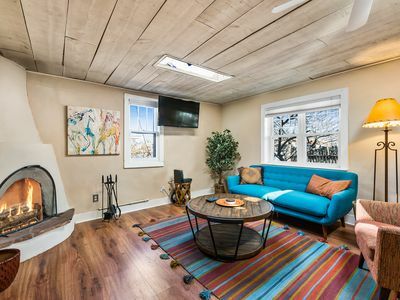 Casa Lola is your secluded oasis within walking distance to the Railyard disctrict and the historic plaza. 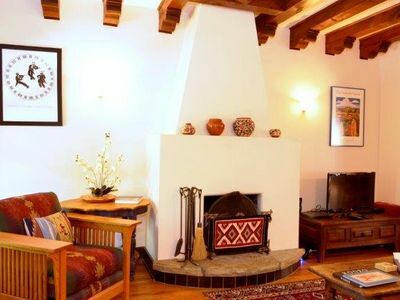 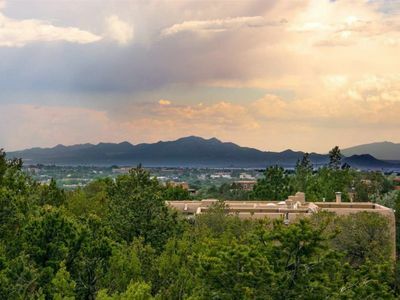 Historic Hacienda de Encina is located between Museum Hill and the Plaza.